In Today's New York Times - Joe.My.God. 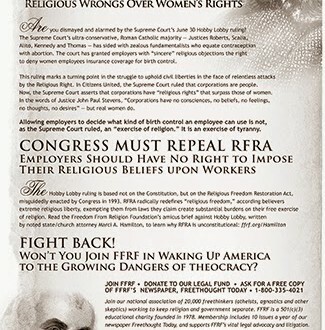 The Freedom From Religion Foundation published the above message in a full-page New York Times ad today. Full-screen version here.